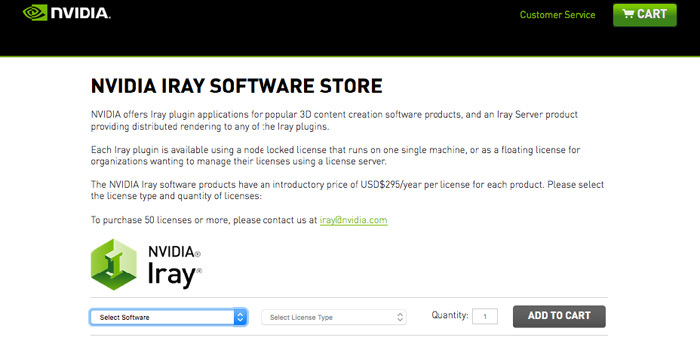 Nvidia is shipping its first Iray plug-ins and has opened an online store to sell the physically based rendering add-ons direct to customers. Plug-ins will be sold at an introductory price of $295/year per license for each product. 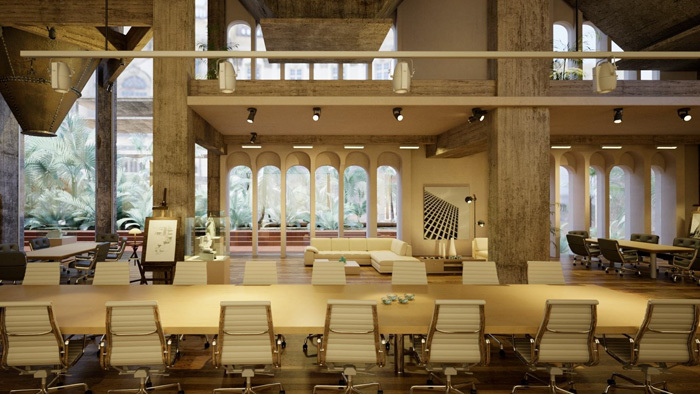 Iray for Autodesk 3ds Max will be the first plug-in to be sold, closely followed by Iray for Autodesk Maya. 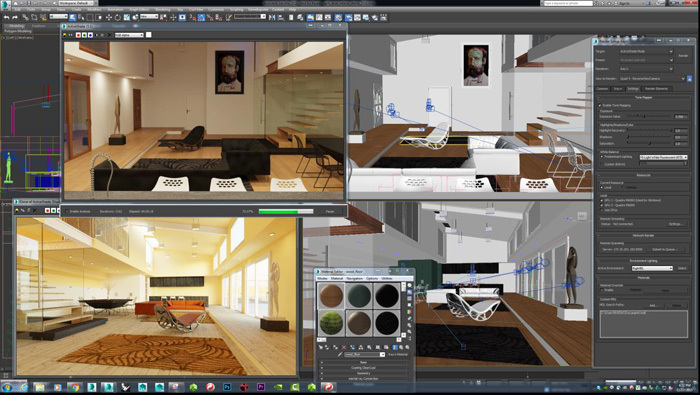 Plug-ins for Autodesk Revit, Rhino and Cinema4D are currently in beta and should be available next year. All of these plug-ins will support Iray Server, Nvidia’s new distributed rendering solution which begins open beta today. Also available is the first edition of vMaterials, a free set of 200 digital material offerings that, according to Nvidia, are verified for accuracy, control and consistency. 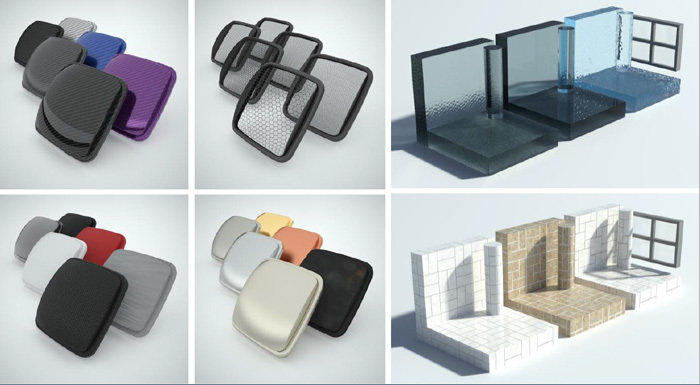 vMaterials can be used with any of the Iray plug-ins. Iray has been available for some time now, mostly embedded within 3D tools including 3ds Max, Siemens NX, Bunkspeed Shot and Catia Live rendering. By developing and selling plug-ins itself Nvidia says it will be able to bring its very latest technology to customers directly. 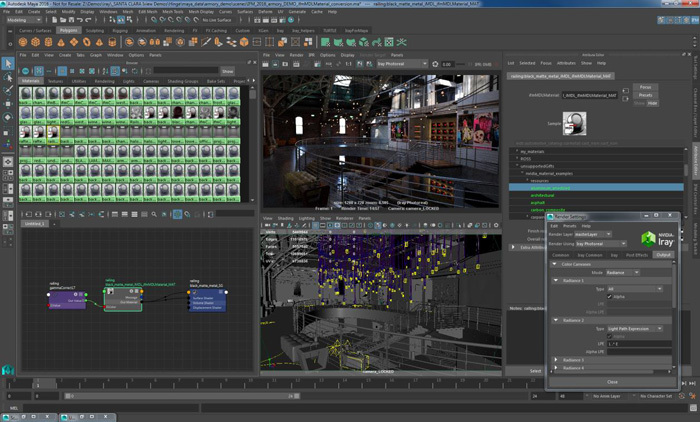 The new Iray 3ds Max plug-in, for example, will be a much more capable than the Iray technology currently embedded within 3ds Max. According to Nvidia, there are a number of new features including a new fast interactive ray-tracing mode, the ability to import and load MDL (Material Definition Language) materials, more flexibility in layering materials, network rendering and the ability to stream rendering from an external workstation or Quadro VCA. Nvidia says the new plug-in also has much faster start up time and will work with multiple releases from 3ds Max 2014 to 2016. Iray Server is a new distributed rendering solution that can be used to build an Iray rendering farm. It can be installed on Windows or Linux servers and each machine in the cluster requires a license. A central management console is said to give flexible control over submitted jobs with the ability to adjust and rerun past jobs. Iray Server is optimised for use over LAN but Nvidia says it should also work over WAN, providing an appropriate VPN is in place. Tunnelling through the protocols on something like Amazon, however, would not work. Iray Server can also be used to stream back rendered results from a powerful server or cluster while the user is manipulating the scene. This could be of particular interest to designers with moderately specified mobile or desktop workstations. 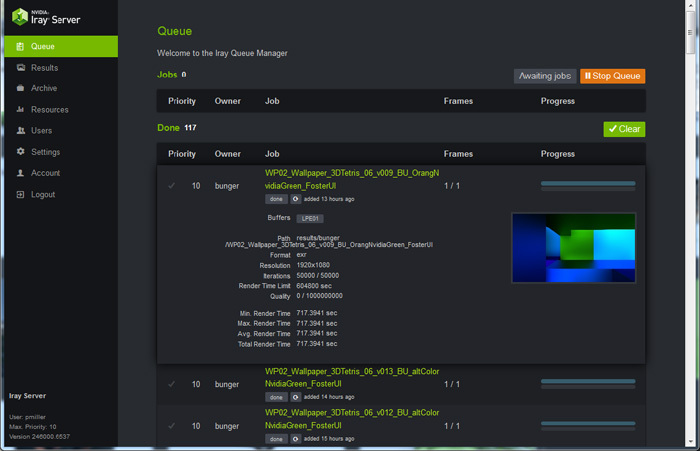 Iray Server is the same software that runs on Nvidia’s dedicated network-attached GPU appliance, the Quadro Visual Computing Appliance (VCA). Nvidia has also revealed that Lumiscaphe is a new Iray customer and that Siemens will be making Iray its primary renderer in NX. 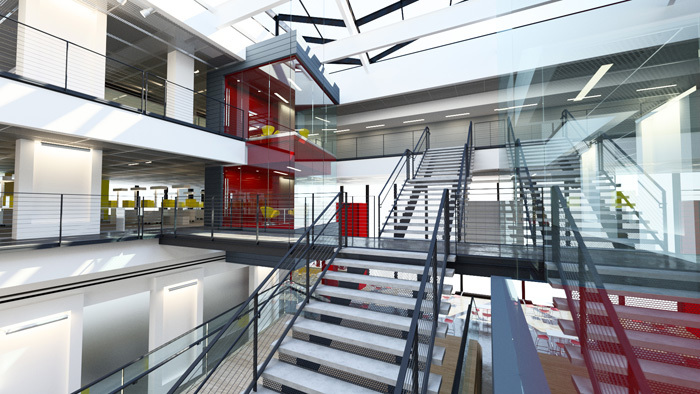 Iray plug-ins are available as 90-day free trials. After that, they’re $295 a year as either a node locked or floating license with no processor restrictions. More plug-ins are in the works, says Nvidia.